Why do you Dry Needle legs and feet? 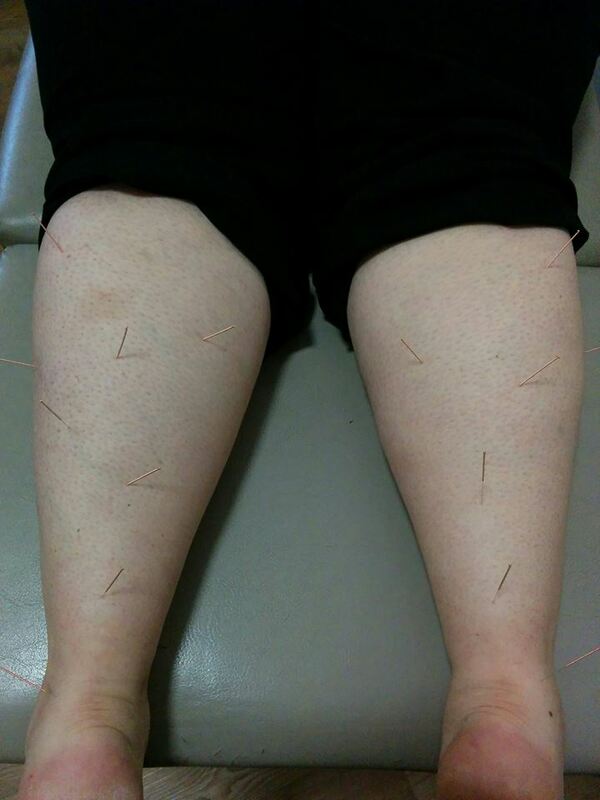 The needles are very fine and most people do not feel them enter the skin. A healthy muscle feels very little discomfort. However if a muscle has active trigger points you will feel a warm sensation or a sensation like a muscle cramp, the “twitch response”. 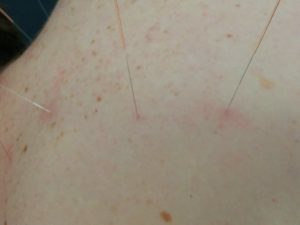 Once a “twitch” response has been elicited, the muscle fibers in that area relax, ‘inflammation’ is reduced and circulation improves. Getting fit during Spring – choose your shoes wisely! Last week I decided to take up the offer from Feelgood Fitness Bendigo and get fit. So I arranged an initial assessment and braved the shops to buy workout gear (that is a whole story of its own). Rocked up early, note deliberate omission of “bright” and was put through my paces on cardio. Well, within 20 minutes on the treadmill I was regretting the days I slept in rather then getting up for a walk. 10 minutes on the rower and I was kicking myself for stopping cycling to work each day (well, if I had the energy to kick myself I would have). 5 minutes on the step machine and I was cursing the Phys Ed class I wagged when I was in Year 8!! Weights tomorrow……… heartfelt thanks, in advance, to whoever invented power steering. You can guarantee they weren’t a health nut! On a positive note, I was blessing my stability/cushioning gym shoes. If you are building your body from the ground up, you have to start with your shoes. Yes colour is important, but choosing a pair should be based on fit, performance and injury prevention. Tennis shoes are designed for tennis, running shoes for running, walking shoes for walking. Believe it or not, this is not a ploy by the industry to get you to part with your hard earned cash. Manufacturers design shoes with the specific movements of each activity in mind to improve performance and reduce the risk of injury. 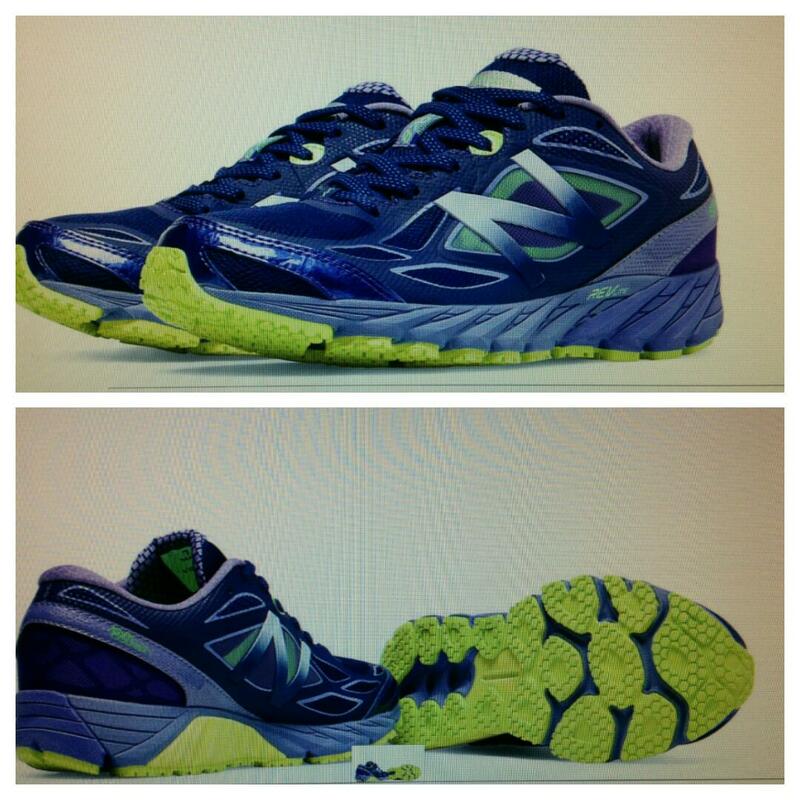 So it’s important to select an athletic shoe based on the exercise you plan to perform. 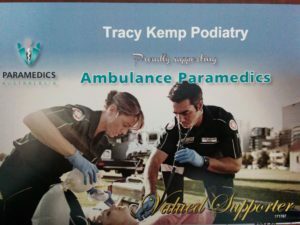 Do you know a Paramedic? Paramedics are health care professionals who respond to and treat all types of medical and trauma emergencies outside of a hospital setting before and during transportation to an appropriate medical facility. Paramedics provide health assessment, initial diagnosis, design a treatment plan and manage the patient’s crisis. PA provides a respected voice in determining how changes in health service provision, legislation and clinical practice are shaped and implemented to enhance the quality of patient care. They also represent and deliver Professional Development for paramedics. 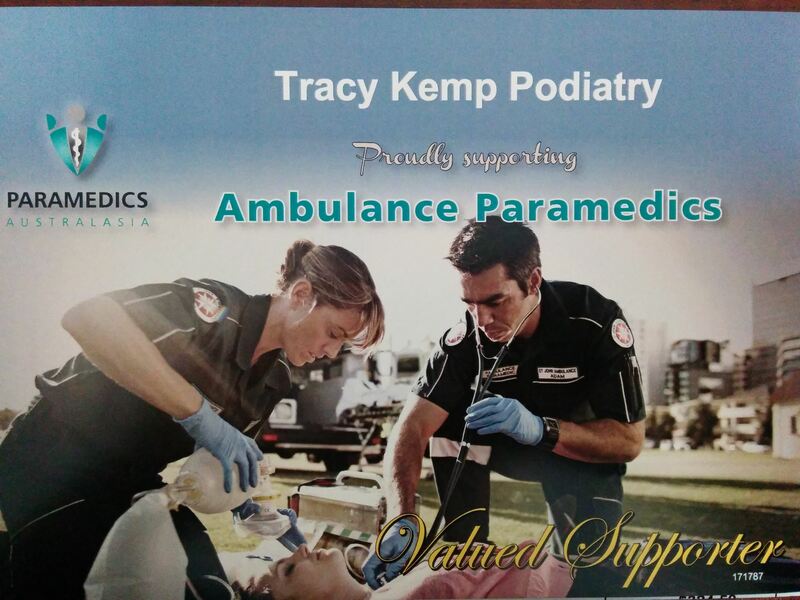 Tracy Kemp Podiatry is proud to support Paramedics Australasia. What can you do with your feet? As a local Bendigo Podiatrist, I meet people from all walks of life. A while back I worked with Katie, a young dancer with a broken foot. As part of her rehabilitation, she had to pick up a pen with her toes, and she progressed to being able to write her name using her feet. She is now back dancing ballet. 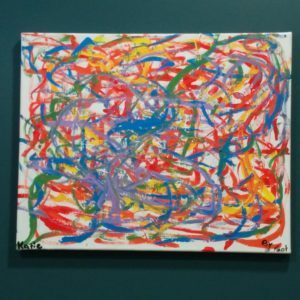 As a thank you, she surprised me with this beautiful painting she had created by foot! 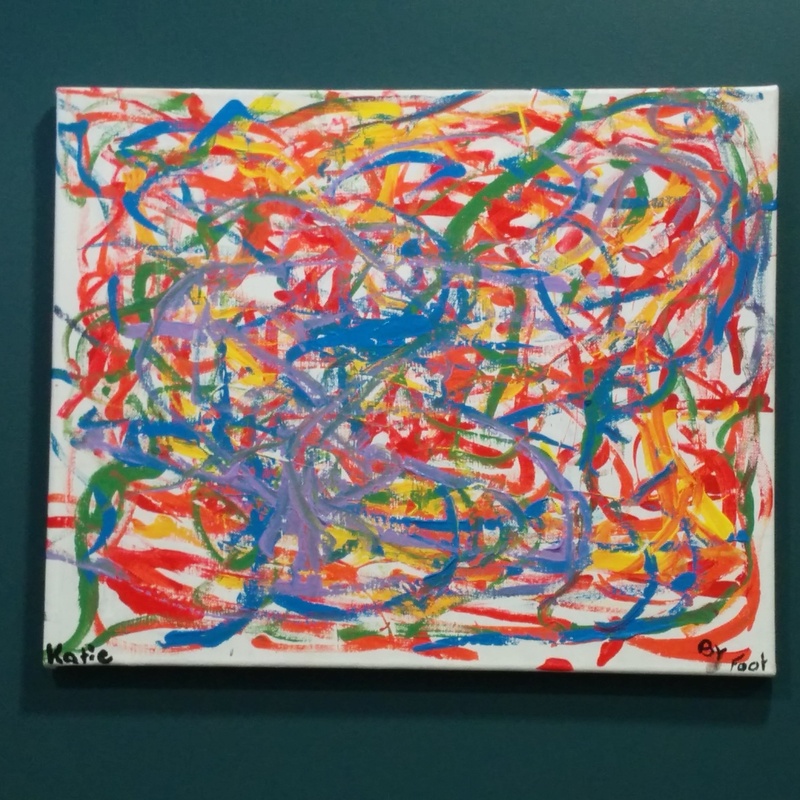 It has pride of place on my clinic walls. It amazes me how teenage boys can ignore the most painful infected toenails, until the smell leads their parents to action! This one particular beauty had been self treated for up to a year before professional intervention was sought. It took 20 minutes in total from start to finish to remove the offending section of nail under local anaesthetic. Four weeks later, it was fully healed. One year later, and it has not reoccurred.